Client: Amazing Lash Studio was founded with the vision to create excellence and affordability in the eyelash extension industry. Amazing Lash Studios are franchise retail salons that apply semi-permanent eyelash extensions with a proprietary, patented process to the clients’ own lashes, replicating the curve and size of natural lashes. Project: The Chief Marketing Officer requested copy for an advertorial to run in the Franchise Focus section of Entrepreneur magazine. The goal of this piece was to entice potential franchise owners to consider Amazing Lash Studio for their next business venture. 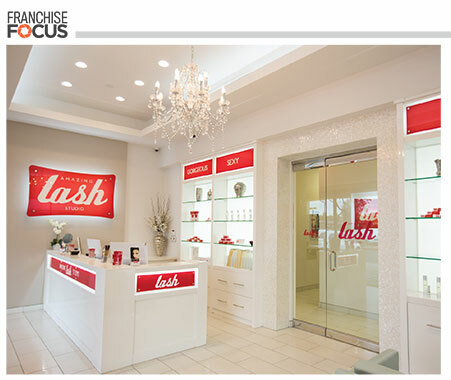 Process: I interviewed several regional developers and franchise owners of the Amazing Lash Studio to find the most compelling reasons why they’ve found success with this business model. Then I used their responses to weave together an editorial-style advertisement.